You need to bring along a lot of gear for your workout, but that shouldn't have to mean hauling along a bulky, awkward gym bag. 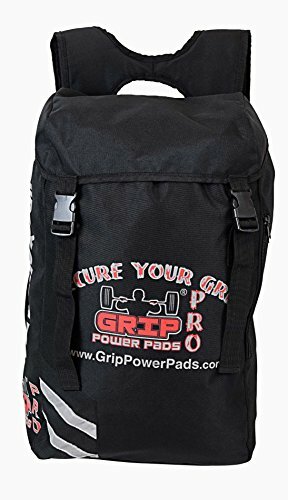 The Grip Power Pads Gym Bag backpack bag gives you flexible carrying options and has enough room to keep everything organized. Traveling to and from the gym has never been easier! The Grip Power Pads Backpack Gym Bag can be carried three different ways: Sling the padded adjustable strap over your shoulder. Use the adjustable padded straps to wear the bag on your back. A roomy interior compartment in the Grip Power Pads Backpack Gym Bag gives you plenty of space for bulky items. If you have any questions about this product by Grip Power Pads, contact us by completing and submitting the form below. If you are looking for a specif part number, please include it with your message.